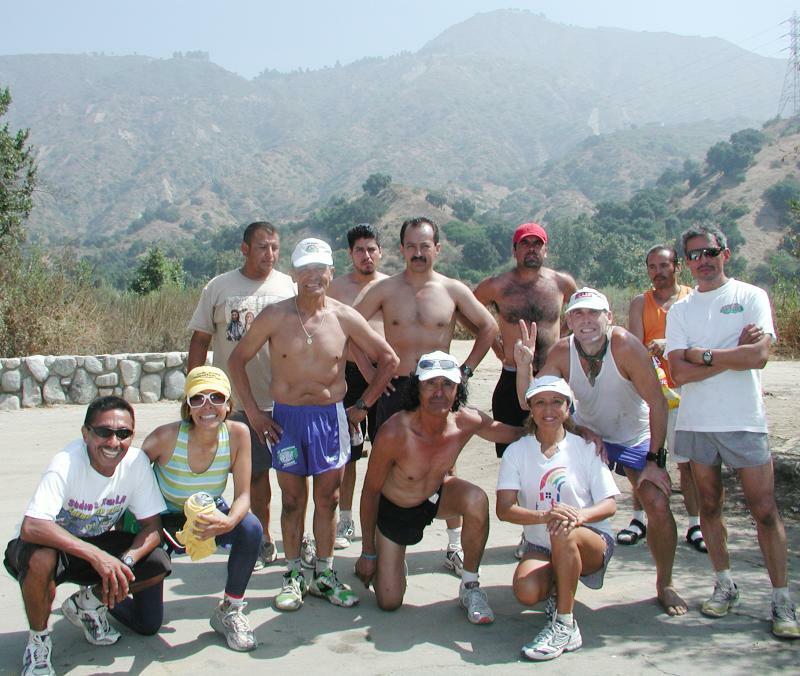 The Griffith Park Tetrick Trail is a tough 8-mile loop with quick up and down rolling hills. 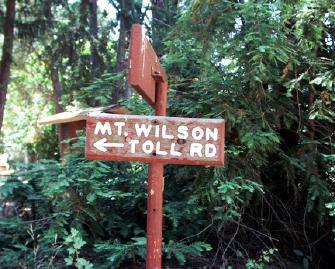 Taking up parts of an old fire road, it is spotted with shade from trees towering over the course. Roberto �??Kadafi�?? 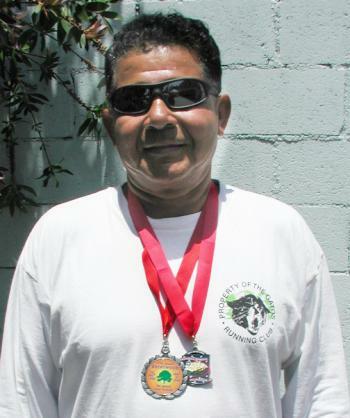 Perez started running the Tetrick Trail in 1983. One part of the trail he calls �? ?Los Columpios�? ?, is his favorite because it is the most physically difficult section of the entire trail as you�? ?re heading up very concentrated steep and quick hills. His personal best was 55 minutes for the course with a recent best of 61 minutes, which he ran during the past month. When I heard he wanted to challenge this tough trial thirty consecutive days (total of 34 trail runs), I enthusiastically agreed to join and support him on his last week of his goal. I had to get up at 4:15 in the morning everyday to �? ?get the run in�?? before starting my day. That took a bit of getting used to. Two other Wild Mountain Runners, Ismael Favela and Pancho Rodriguez, have also supported Roberto in his goal. �? ?It is very difficult to break this streak unless you are unemployed or have a lot of free time �?? be prepared!" said Roberto. His inspiration to run this 30 day streak was to get the Wild Mountain Runners to pass a resolution to rename the Tetrick Trail to KT run (Kadafi Trail). His running goal was successfully accomplished now the hard part comes in �?? to rename the trail Kadafi Trail. After a lot of hard work, consistency and dedication, I hereby propose and notice be given to all Wild Mountain Chapters that the Tetrick Trail be now called Kadafi Trail. Pasadena, CA 91107 (626) 398-5420 and heads up to the top of Mt. Wilson. The Bible says, "Many run the race, but only one will win. Run so as to win." One needs to prepare as a champion would. Goal-oriented behavior, personal sacrifice, an action oriented mindset, discipline, dedication and directed willfullness are "skills" that can be modeled and molded and learned. These are the skills of a champion. Run so as to win. Some runners continued up into the mountains from the horse area. Betty, Patty and Abel came in a little later after the photo. Excellent weather. Nice cold beers at the end thanks to Danny and Apache.